Poshmark has been my favorite online site when I shop since 2013. Whenever I need to buy something, I would check out first on Poshmark before checking Amazon. My recent purchase is a pair of black Cole Haan moccasins. They are very comfy and chic. 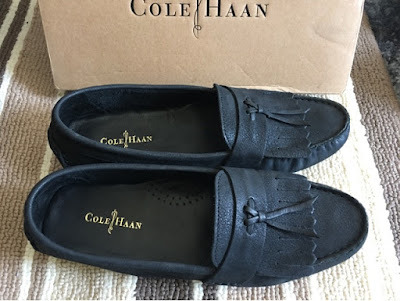 I love Cole Haan shoes. I have different styles of them and I get a lot of compliments every time I wear them. Thank you for dropping by! Have a good one!